The World According to Michael: Competition!! Yesterday we finished school early for Easter. Gran and mum picked us up but Gran only took our schoolbags and mum, Jill and I walked home. We walked home because mummy wanted to try out her new trainers. She got new trainers for Race for Life. Now it's time for the competition. The question is how long do you think it took us to walk the one and a half miles between school and home? Please put your answers on a comment to this post. The deadline is when we go back to school. The prize is ...... knowing that you're a winner! (that's all that I could afford) LOL! I think it was about 20 minutes - am I right? 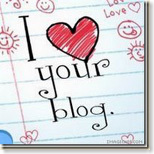 When are you gonna update your blog? That was easter 2009 this is winter 2010!